NEW DELHI – A swine flu outbreak in one of India’s biggest tourist hubs, Rajasthan state in the west of the country, has killed 76 people this year, government officials said on Wednesday. Colder weather has worsened the seasonal outbreak of the H1N1virus, with Rajasthan recording more than a third of all swine flu deaths in India, officials said. Rajasthan’s cities, with their imposing fortresses and palaces, attract many overseas visitors, although officials said there no reports of any of them catching the virus. 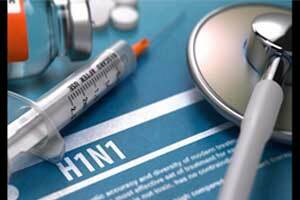 Nationwide, 4,571 cases of the H1N1 virus and 169 deaths were reported by Jan. 27, according to NCDC data. “It’s a seasonal disease and the weather is conducive to viral multiplication,” said Raman Sharma, senior professor at SMS Medical College in Jaipur, Rajasthan’s capital city.